2 Girls Who Travel love to explore … and we also love our food. Appropriately enough we like to cook, too. But finding time to get to the grocery store isn’t always easy. 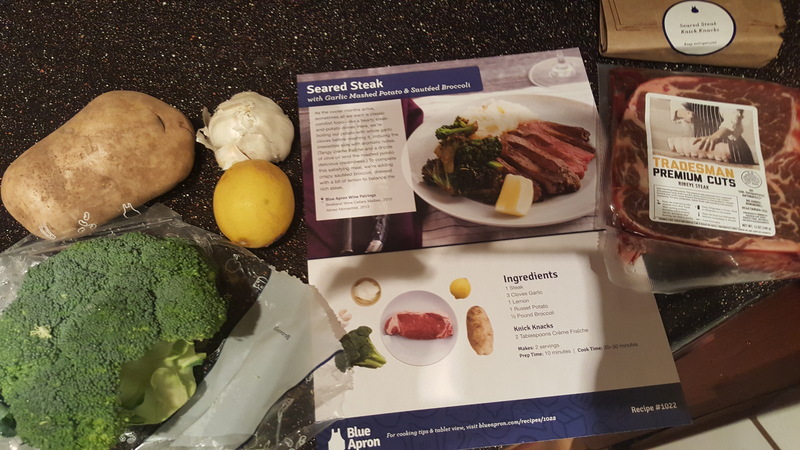 Enter Blue Apron. 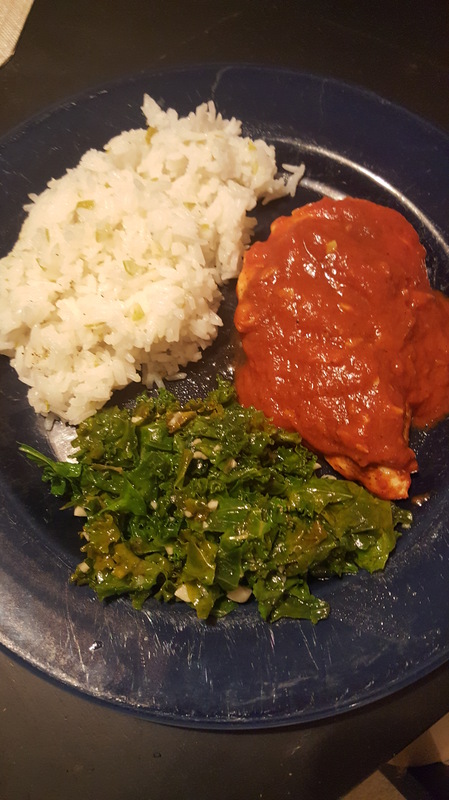 After speaking with good friend and fellow blogger Angelle (check out her recent blog on why you should try Blue Apron here), I (Val) decided to give it a shot. Thanks to Angelle, my first week’s order was free! 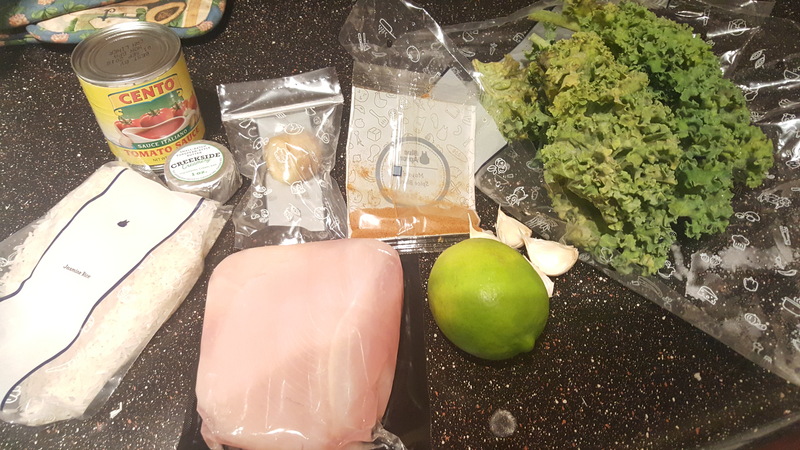 Here’s the skinny on Blue Apron for those who don’t know: you pick the day of the week you’d like your meals delivered, each order comes with a week’s worth of recipes (I selected the two-person plan in which you get three recipes that feed two people per week) and you’re able to skip weeks with no penalty. When I got my first box, I was excited. I’m also an avid online shopper so the excitement was reminiscent of getting random things I’ve ordered online delivered. Who doesn’t love coming home to stuff?! Packaging comes with ice packs to keep the meats cold and the vegetables are all fresh. Blue Apron literally sends you everything you need to make the meals, with the exception of staples like salt, pepper and olive oil. But if you’re a cooker, that shouldn’t be a problem. Each box also comes with detailed recipe cards that include pictures to help guide you. It’s very simple to follow! Without further ado, here are my three meals! Pros: Blue Apron meals are easy to prepare and it takes the guess work out of what you’re eating for dinner. The recipes allow you to experiment with new flavors and cook with ingredients you may not have otherwise. Example, I eat rice all the time and never thought to put lime zest in it for flavor – but it tasted delicious! 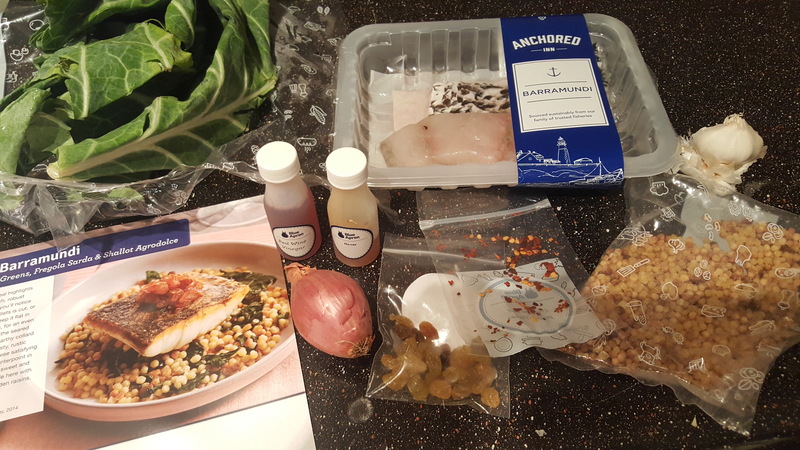 And quite possibly the biggest plus for Blue Apron is it keeps you from having to go to the grocery store – which I loathe! Cons: I’d like to think I have a healthier appetite than some, so some of the portion sizes may not seem like enough. Ex. 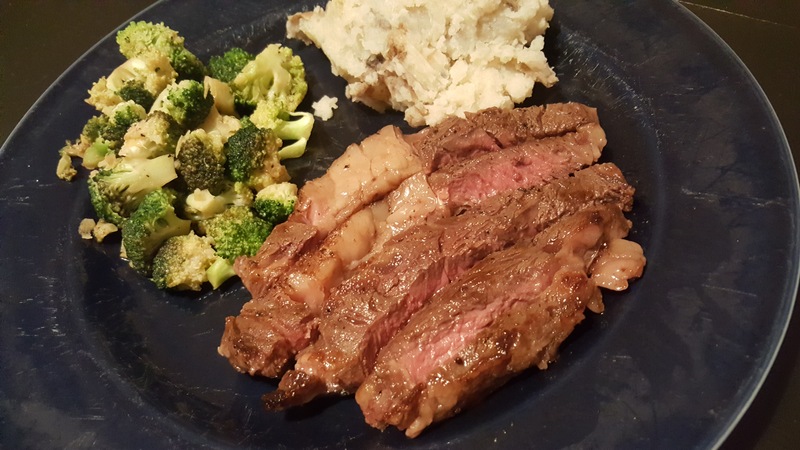 most people I know can eat one steak, but one recipe called for one steak for two people. But that may be a blessing in disguise as a way to portion control. Also, people who lead busy lives (like myself) may not want to cook three times a week. I’m more of a ‘cook a big meal and eat leftovers’ type of person, but to each his own. Finally, the price tag for a week of meals may be steep for some. For the plan I received (if I had paid), it would have totaled out to $60. That’s more than I typically spend per week at the grocery store, but again, part of the price is for convenience, so you can gauge if that works for you. I’m glad to know that you liked Blue Apron. There are SO many of the home cooking services that I don’t know which one to even start with! 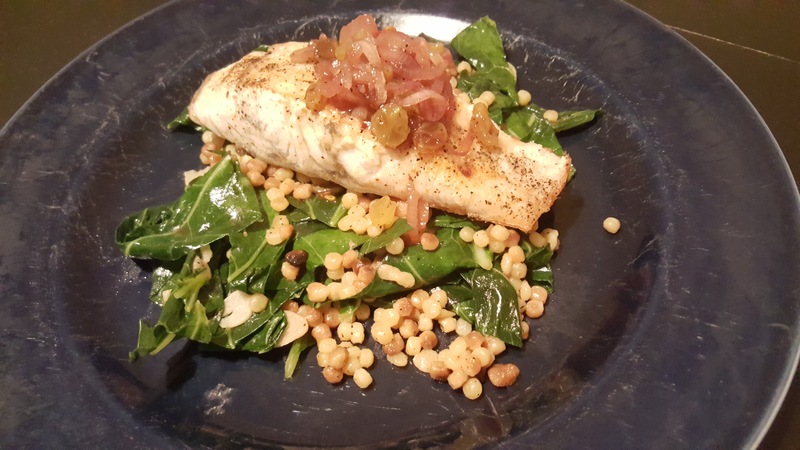 Yes, Blue Apron was a great one to start. I’ll be trying Home Chef next to see how it compares. Let us know your results if you decide to try one!